After a television station reported incorrectly Tuesday night that Democratic State Treasurer Beth Pearce owns a home in Massachusetts, the Pearce campaign accused her opponent of propagating the story and "pandering to people's fears and spreading rumors." 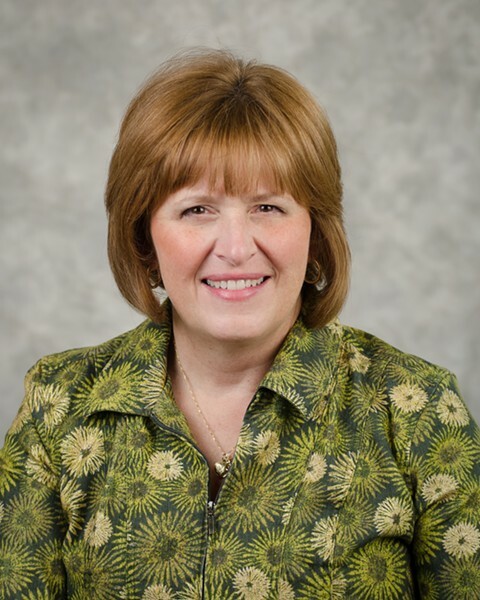 In return, the campaign of her Republican opponent, Rutland City Treasurer Wendy Wilton (pictured), fired back with a statement questioning Pearce's "personal commitment" to Vermont's school property tax system because, as a renter, Pearce does not directly pay the tax. Wilton's campaign took the dig a step further in a follow-up email to Seven Days, appearing to question the incumbent treasurer's commitment to the state. 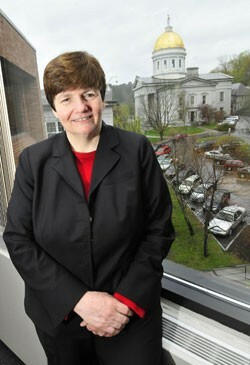 Pearce moved to Vermont from Massachusetts a decade ago to take a job as deputy state treasurer and was appointed to the top job in January 2011. "If you're fully committed to Vermont, don't you invest in the state you love? Not if you're heading back to MA when your tour of duty is over..." Wilton spokesman Bradford Broyles wrote. The drama began Tuesday night during WCAX-TV's 6 p.m. newscast. In a side-by-side profile piece of the two candidates, WCAX's Keith McGilvery reported that Pearce rents a home in Barre and owns a home in Massachusetts, which is not true. Asked by McGilvery whether she planned to buy a home in Vermont, Pearce said in the piece, "That is a personal choice. We're trying to think things through, but bottom line is Vermont is my home." The Pearce campaign immediately called WCAX to request a correction, and the station ran a retraction of that portion of the story at the end of the same broadcast. An online version of the story does not include mention of a Massachusetts home, nor of a correction to the piece. "We just got it wrong," WCAX news director Anson Tebbetts said Wednesday morning. "We hate making mistakes, but we got it wrong and we corrected it and we did it immediately." Tebbetts said he hasn't yet determined precisely what led to the station's error, but he said he plans to find out. "We thought it was confirmed and asked, but maybe it wasn't asked," he said. "I think it lies on us that we thought it was a fact that we'd researched and confirmed, but it turns out it wasn't." Roughly an hour after the broadcast, the Pearce campaign issued a statement on its Facebook page noting the error and blaming it on the Wilton campaign. "This false information has been propagated by our opponent," it read. "Beth is a Vermont resident dedicated to protecting Vermont's bottom line. Please tell our opponent that pandering to people's fears and spreading rumors does nothing to improve Vermont's finances. We need honest debate. Vermonters deserve better." Pearce's campaign took the accusation a step further in a press release it issued Wednesday morning, writing, "For weeks, Wilton has falsely claimed that Treasurer Pearce owns a home in Massachusetts, knowing that she does not." Wilton's campaign disputed that assertion. "Our campaign has never said anything about Beth owning a home in Massachusetts," Broyles said. "Beth's campaign is going nuclear about how we're spreading that." Asked for proof that Wilton is behind the rumor, Pearce campaign manager Ryan Emerson cited reports from several supporters who claimed to have received a polling phone call a month ago asking questions about Pearce's residency and home ownership. Emerson says he's convinced that poll was conducted by the Wilton campaign. "We do know it was her poll," Emerson said. "There was not another poll in the field that weekend." While Broyles confirmed that the Wilton campaign ran a poll last month, he said he was unaware whether it asked about Pearce's home ownership. He said the poll was conducted before he was brought on board the campaign, and said he'd only seen its top-line results. Furthermore, he argued, "There's a big difference between asking a question in a poll — and I'm not confirming that question has been asked — and having a message come from a campaign with a statement publicly or even privately about an issue." Pearce's campaign also took issue with WCAX's handling of the issue. "It is disconcerting that a news organization would not fact-check a source," Emerson said. "And if the source is from a political campaign, that's even more frustrating." Emerson said he thinks WCAX should go beyond its initial on-air correction. "I hope they would repeat one more time tonight that they had a misleading assertion in one of their stories and that State Treasurer Beth Pearce is a Vermont resident, has been for over 10 years and chooses to rent in Vermont." While the Wilton campaign has not publicly addressed the false assertion that Pearce owns a home in Massachusetts, it used the WCAX broadcast as a springboard Tuesday night for its own attack. In a statement it released late in evening, it criticized Pearce for choosing to rent. "Pearce's public admission that she does not own a home in Vermont brings into question her personal commitment for the progressive nature of Vermont's statewide school property tax system," Wilton's statement said. "Pearce has been able to consistently avoid paying her fair, income based, share toward educating our children since moving to Vermont." In the follow-up email Broyles sent Seven Days, the Wilton spokesman said, "There is nothing wrong with Pearce renting. However... it is unusual for someone of Pearce's stature and financial ability to rent." Pearce's campaign took exception to that notion. "My response to that is it's absolutely childish and absurd," Emerson said. "I wish the Wilton campaign would focus on the issues... rather than go to negative, divisive campaign tactics." That his boss rents a home is a personal financial decision, Emerson argued. "She chooses to rent because of fiscal prudence," he said.